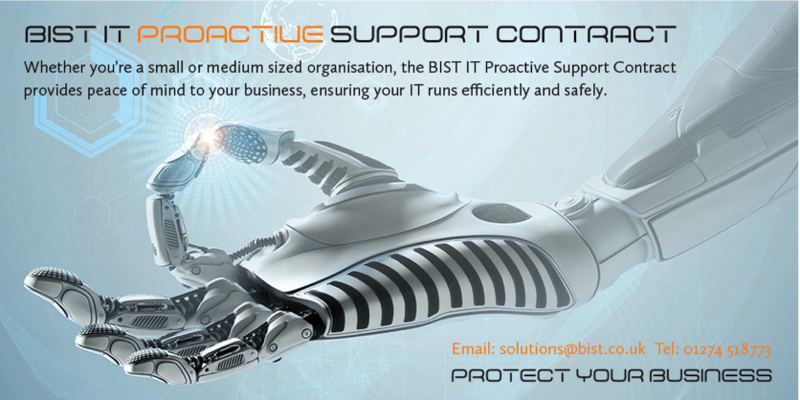 Whether you’re a small or medium sized organisation, the BIST IT Proactive Support Contract provides peace of mind to your business, ensuring your IT runs efficiently and safely. As the saying goes, “prevention is better than cure”! Through proactive remote monitoring of your servers and network, problems can be easily detected and prevented minimising the risk of network downtime and disruption. We provide a continuous “health check” of all systems so that you don’t need to worry. As part of our contract, we provide a robust security service, one that minimises the possibility of a security breach.